In the last 16 days sporting heroes have arisen and we’ve witnessed some incredible achievements. I love the Olympics, the aura is somehow different to any other sporting event, whether basking in triumph or the heartbreak of ill timed injury and defeat, everything seems more intense and encapsulating. I still vividly remember getting swept away with the Barcelona Olympics as an 11 year old in 1992. Linford Christie’s Gold in the 100m. Staying in the car outside my aunts house so that we could listen to Sally Gunnells 400m hurdle race and erupting when she took Gold. Kris Akabusi’s Bronze in the 400m Hurdles, Steve Backley’s Bronze medal in the Javelin and Bronze for both the men & women’s 400m relays. That is all from memory but I’m pretty sure it’s correct! Freddie Mercury & Montserrat Caballé belting out ‘Barcelona’ was spine tingling and it was listening and watching the athletics montage at the closing ceremony I decided this was for me; I wanted to be there competing someday. My dream was not to be due to illness and circumstance, but I am now lucky enough to be working in top class facilities, with national and world class coaches enabling our most promising young athletes to pursue their Olympic and World Championship dreams. I still want to be the best athlete / version of myself that I can be however. Exercise has not only been about achievement for me, but it clears my head and makes me more confident and happier in myself. I’ve been asked a number of times how I manage fibromyalgia enough to be able to train, whether that be running or working out at the gym. I’m going to be completely honest and say that it includes a lot of what I have considered to be failure. What you see on my Instagram / Twitter / Facebook feed doesn’t usually include the darkest of days. The days when the pain is crippling, my negativity and self doubt is all encompassing and I cry myself to sleep. It really isn’t pretty. What I’ve learnt from working amongst this calibre of athletes however is that without doubt they have exceptional talent, but as ordinary human beings they come with their own battles and difficulties to overcome. The other week I sat down on Sunday afternoon to watch Jessica Ennis-Hill: A Coach’s Story on BBC Iplayer (definitely worth half hour of your time, click here to view ). I’ve always admired Jess’ coach, Toni Minichiello and the relationship they have (he’s coached her since the age of 13 and taken her to Heptathlon Olympic and World Champion), but I took much more from the documentary for myself than I thought I would. Returning to training after the birth of her son Reggie, Jess admitted that she underestimated how hard it would be coming back after having a baby, doubted herself and found it difficult to come to terms with her post pregnancy body. It could take twelve months for her body to get over pregnancy and birth and they both had to learn how her new body worked, performed and the approach needed for her to be able to return to competition. If Jess had continued to try to train the way she had before having her baby she would have crashed and burnt, most likely hindering any chance that she had of competing in the future. After most people had written her off, she came back within 14 months to win World Championship Gold. And that’s when it hit. Now I’m in no way comparing myself to an Olympic and World Champion, but bare with me, the principle is the same. After my diagnosis of fibromyalgia I was still in the frame of mind that I could achieve what I had pre-diagnosis. 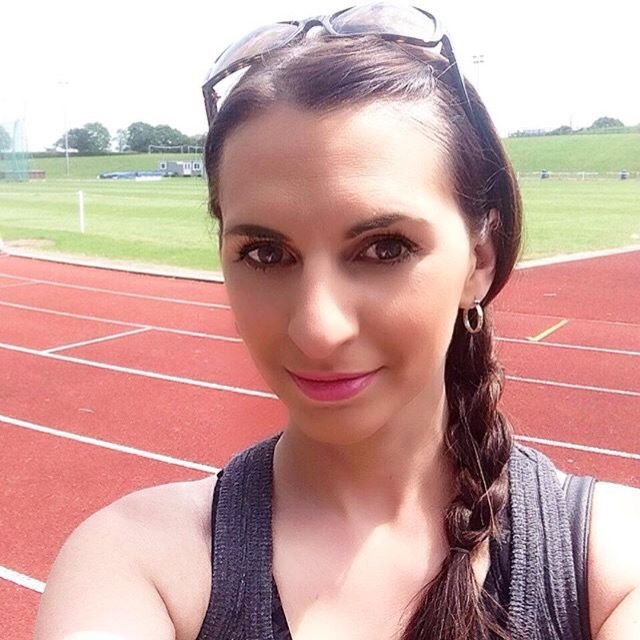 I took part in an intensive eight week programme where frustratingly my body was still capable of doing what it was before, but the crippling pain and fatigue that followed prohibited me from doing so again. It was a gruelling eight weeks, mainly because physically I was far too able to be in the physiotherapy group I was in. The aim of the rehabilitation was to keep my body mobile and to increase my pain threshold so that I could cope with the pain of every day activities. I could have easily been in the group of athletes above me though and still had the competitive mindset – I had to win every activity set, no matter the cost to my body afterwards. Despite my physiotherapists advice I believed that I could beat the pain, mentally I still couldn’t accept that my body was no longer the same as it was. I had been told time and time again that I would not race again but I still believed that I could. In my head I was still the same. I started training at the track with a group of high achieving young athletes and it was clear straight away that I was misleading myself. Some these athletes are half my age and that alone should have been enough to stand back and say “hey, don’t expect too much of yourself here“. I’m 34 years old with fibromyalgia and training with an endurance squad that competes week in week out. I was setting myself up for failure. My body was so fatigued that I had nothing to give and felt like a complete fraud. Admitting that my body was no longer the same was extremely difficult – it felt like failure and I quickly needed a new challenge. I found it in Kayla Itsines BBG. I signed up and downloaded the app and was immediately hooked on the workouts. 28 minutes of high intensity exercise split up into 7 minute sections, sounded much more manageable. It was until the workouts got more difficult and my body was in so much pain and fatigued by the sessions. Once again I became frustrated and negative because I was still comparing my performance to what it would have been before the fibromyalgia raised its ugly head. I’ve watched the documentary with Jess and Toni a further three times! I’m determined that fibromyalgia won’t take over my life. I’m someone who needs to have a goal to work towards, but in order to be able to train and achieve any set goals I need to change my mindset and training methods. Whether we have just had a baby or have a chronic illness we need to accept that our body is now different and will work in a different way, therefore we need to adapt accordingly. My running PBs have been wiped out. The number of reps I could lift / circuits I could complete have been forgotten about (the fibro fog helps with that!). The one plus with wiping the slate clean is that from today onward, every session will be a new PFBB (Post Fibromyalgia Personal Best!). When I return to the track in a few weeks, I’ll be purely coaching. If I run, it will be by myself with no expectations and I will be starting Sweat with Kayla again from week 1, adapting it to how my body feels. I’ll be taking Toni Minichiello’s advise to “always write your plans in pencil and have an eraser ready” , as those of you with chronic illness know, it is unpredictable and is always throwing up new challanges. I’ll be documenting my progress here once a week and also on my social media (follow me on Instagram here). I may not be bringing home an Olympic Silver Medal as we have seen Jess accomplish in the last week, but with a more relaxed attitude and no expectations who knows where we can go! If anyone wants to join up on this journey please contact me – the more company the better! NB: Quotes taken from Giles Mountford’s article for the BBC click here to read in full. I love your motivation. Such an inspiring post to read. Well done on all you’ve accomplished. Ah thank you! I must read this post again on dark, wet days when I don’t want to get out there! Your determination is admirable. Good luck getting back on the track. Your motivation is inspiring! 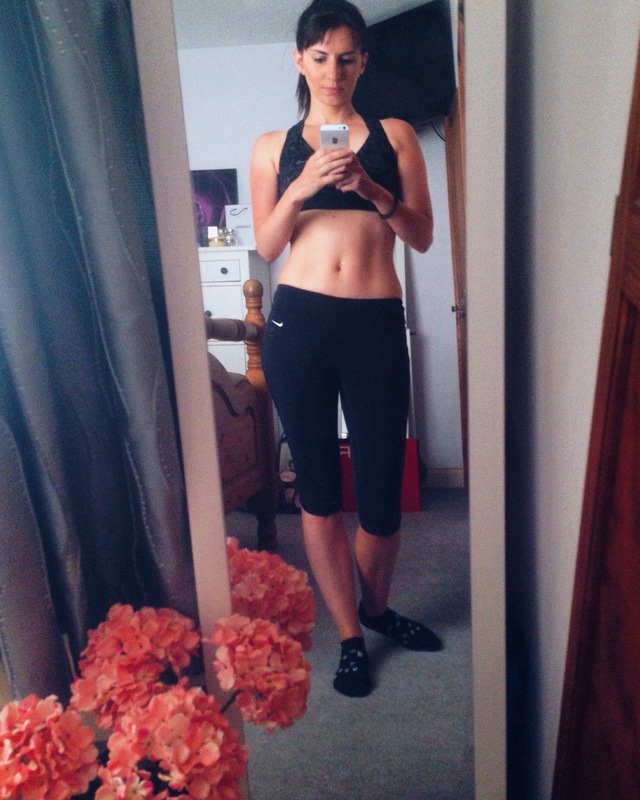 I’ve definitely struggled with how my body works after having two kids in quick succession. It just doesn’t do the things it used to in the same way, and it’s been much harder to lose weight since having the girls than it was when, say I lost weight for my wedding when I was 25/26. You’d think I could get it through my head that I’m 10 years older and I’ve carried two babies, but it’s hard to change that mindset. I think I need to do the same and reset everything and start from zero, knowing that everything will be a personal best from now on and I can only get better! I love this rebooting to start fresh rather than working towards the past levels. Such a great perspective shift. God luck. I will be following along.